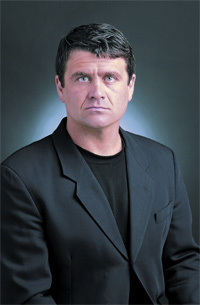 Alon Stivi immigrated to the United States from Israel and has served as an advisor to federal, state and local government and as a tactical trainer since 1998. He taught close combat tactics to the US Navy SEAL CQB Instructors and trains officers in the use of force and response to active threats. He teaches university-accredited workshops on violence management and has been leading a research on school safety since 1999. He regularly works with law enforcement trainers and is responsible for the development and implementation of a broad spectrum of security and training programs. He is the founder and developer of ACTCert.com the most comprehensive online school security training program in the world. Prior to his arrival in the U.S., Mr. Stivi served as a Platoon Sergeant in the Israeli Special Forces. He participated in missions in defense of the State of Israel and trained troops for combat in the areas of small unit infantry tactics, airborne operations, close combat and emergency medicine. Mr. Stivi has been studying martial arts since the age of 9 and is the U.S. Master Instructor of the Hisardut® Israel Survival System - the only system in the world specifically developed to combat terrorism. He is a two-time World Martial Arts Masters Hall of Fame inductee and the World Full Contact Survival Fighting Champion Titleholder (1994). He is a certified NRA Range Safety Officer and a P.O.S.T certified Use-of-Force and Firearms Tactics Instructor. Mr. Stivi is a member of FBI InfraGard®, the American Society of Industrial Security (ASIS), and a Training Advisor for the International Association of Counter Terrorism and Security Professionals (IACSP). He is a Board of Advisor member of the Center for Unconventional Security Affairs (CUSA) at the University of California in Irvine and a member of Generation Next (GenNext). He serves as a Reserve Deputy with the Los Angeles Sheriff Department, Emergency Operations Bureau (EOB) and is an active Terrorism Liaison Officer (TLO). Our instructors embody a combination of talent that integrates the operational experience of American and Israeli Special Forces and tactical law enforcement officers. We draw upon an extensive network of highly skilled and trusted professionals to recruit instructors with a preference for men and women with combat experience who are excellent communicators. Our instructor team has a proven track record of providing tactical training services to the military and law enforcement communities.